The rate-setting process has enormous implications for global financial markets - and consumers. 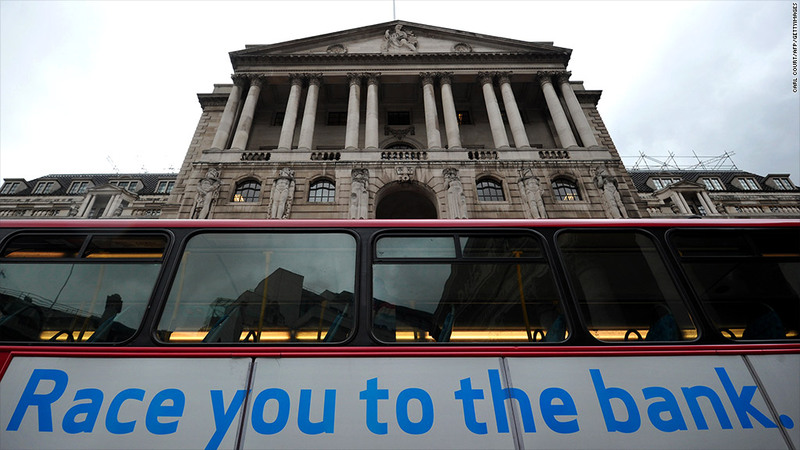 British police have made their first arrests in an investigation into attempts by banks to manipulate the global benchmark interest rate Libor, detaining three men after their homes were searched. Three U.K. citizens, ages 33, 41 and 47, were taken to a London police station for interviews "in connection with the investigation into the manipulation of Libor," the Serious Fraud Office said in a statement. The office, a government agency that investigates serious or complex fraud and corruption, began its inquiry in July after Barclays (BCLYF)admitted rigging Libor and agreed to pay $453 million to settle with U.S. and U.K. authorities. The scandal cost Barclays' chief executive Bob Diamond his job. Libor is short for the London Interbank Offered Rate, a measure of the cost of borrowing between banks. It's a collection of rates generated for 10 currencies across 15 different time periods, ranging from one day to one year. An estimated $300 trillion in derivatives products around the world is tied to Libor. Authorities in the United States and elsewhere are investigating at least 16 banks. The U.S. Commodity Futures Trading Commission launched a probe in October 2008. Other banks involved in setting Libor -- including JP Morgan (JPMPRD), UBS, Citigroup (C), and HSBC -- have said they are cooperating with investigators, and further settlements could come soon. UBS and Royal Bank of Scotland are reported to be close to a settlement. Barclays, UBS and Royal Bank of Scotland declined to comment on whether any current or future employees were among those arrested. The rate-setting process has enormous implications for global financial markets, and consumers. Roughly $10 trillion in loans worldwide -- including credit card rates, car loans, student loans and adjustable-rate mortgages -- are linked to Libor. The scandal has further eroded the reputation of the banking industry, already shaken by the financial crisis of 2008 and a series of massive trading losses, revelations of money laundering and sanctions busting by some of its biggest players. It also led to scrutiny of other financial benchmarks, including those underpinning much of the physical trade in oil markets.